The Son's currently meet with the Post Legionnaires on the 4th Thursday of every month, at 7PM, at Joanna's Cafe & Banquet Facility, 145 Main Street (Rt 190), in Somers. 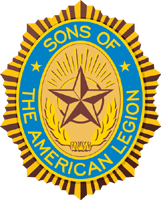 The Post (Legionnaires and interested Sons', Riders' and Auxiliary members) meets on the 4th Thursday of the month to see what the Legion is all about. The meeting takes place at Joanna's Cafe & Banquet Facility, 145 Main Street, Somersville, in the banquet facility in the back of the building. The meeting time is 7pm. Let us know what our programs should be about; what we should do for our veterans and our community.